Welcome to the Linky Ladies Party! This is a fiber arts bi-weekly community party and is live from Tuesday at 12:00 am, ending on Saturday at 12:00 pm (PST). Show off your talent by linking up your finished crochet & knit projects! The five most popular links will be featured and shared on our social media. New for 2018, we’ve decided to have a quarterly drawing and giveaway! For each valid link that you add to our link parties, you will automatically gain one entry into our quarterly prize drawing. The Prize will be a $25 Amazon Gift Card! You don’t have to do anything except join the link party. 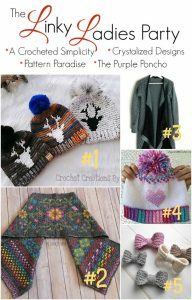 This is a co-hosted party by “The Linky Ladies” Crystalized Designs, Pattern Paradise, The Purple Poncho, and A Crocheted Simplicity. Four times the exposure linked up to four websites and social media sites! Link with us and share using hashtag #thelinkyladies. Display The Linky Ladies Button! Link your crochet and knit projects. 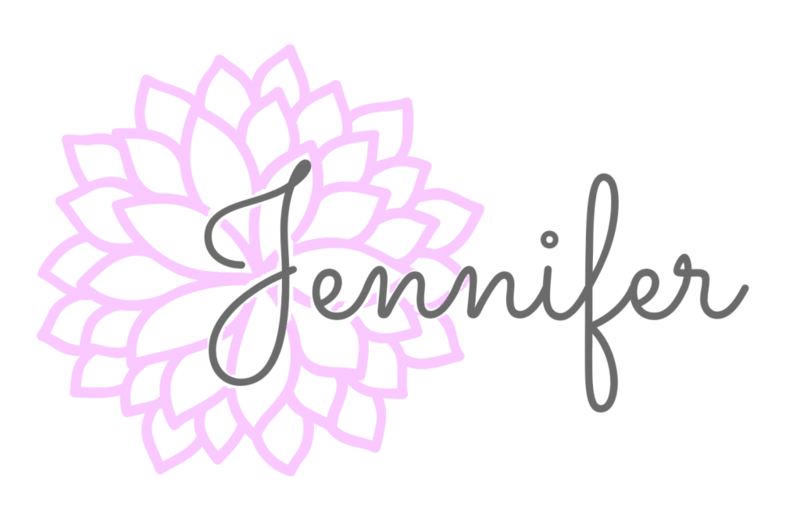 By adding your links to the Linky Ladies Party, you give permission to the hosts to share your post and pictures on their social media sites, website, blog, and in round ups. Thank you for joining us and we hope you’ve enjoyed the party, see you next week! Help spread the word by sharing our party, displaying our buttons, and tagging us with #thelinkyladies.